Paring knife with Pink Ivory handle, nickel silver pins. 4" blade forged from 15N20. 5" kitchen knife with curly maple handle, nickel silver pins. Blade forged from file. 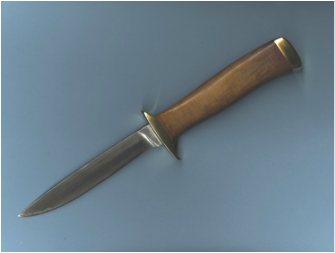 5" hunting knife with deer antler handle, wood spacer, brass finger guard. 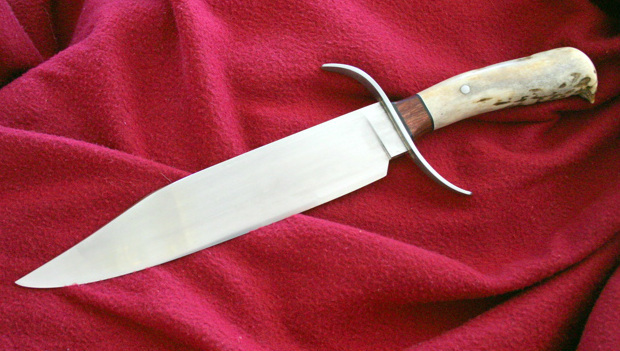 Bowie Knife, 10" blade of 5160, forged steel blade and guard, mule deer antler handle with acacia wood accent. 5" L6 blade, double guard, micarta handle. Military knife made for a niece who served in Iraq. 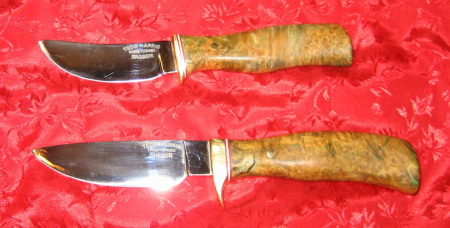 4" hunter, 3 1/2" skinner, handles of stabilized buckeye burl. 2 1/2" blade of 15N20. 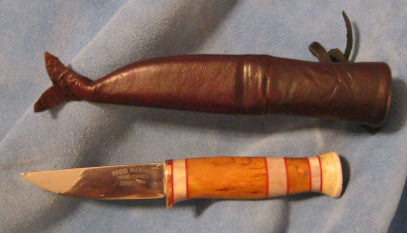 Handle of Massur birch and antler. 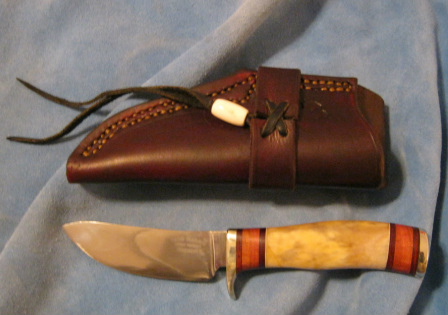 Knife and wood lined sheath made in Saami style in northern Finland. 4 1/2" blade of 1095. Nickel silver pins. Forging marks left on spine. This is a stock removal knife ground from 1095.. The lines on the blade show the transition from hard edge to soft , but tough, back. My first tanto. Blade is ground from damascus made by Ford Swauger. 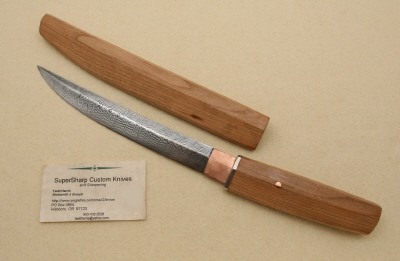 Copper habaki, handle and saya are cherry wood. My second tanto. 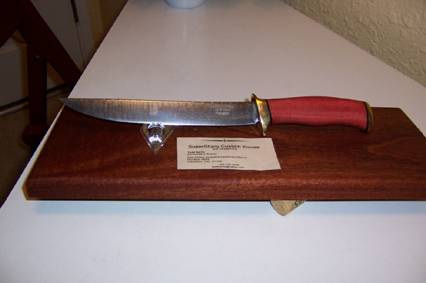 Blade ground from Ford Swauger damascus, handle is pink ivory wood. The name of this knife is Pink Lady. Knife I made to skive and cut leather and carve the insides of wood sheath liners.